It must be almost a year since I first came across Bec’s wonderful soap and skincare. I can honestly say that I love using her products – as a very headache and migraine prone person I find many scented products difficult to use, but I have been absolutely fine with these essential oil fragrances. 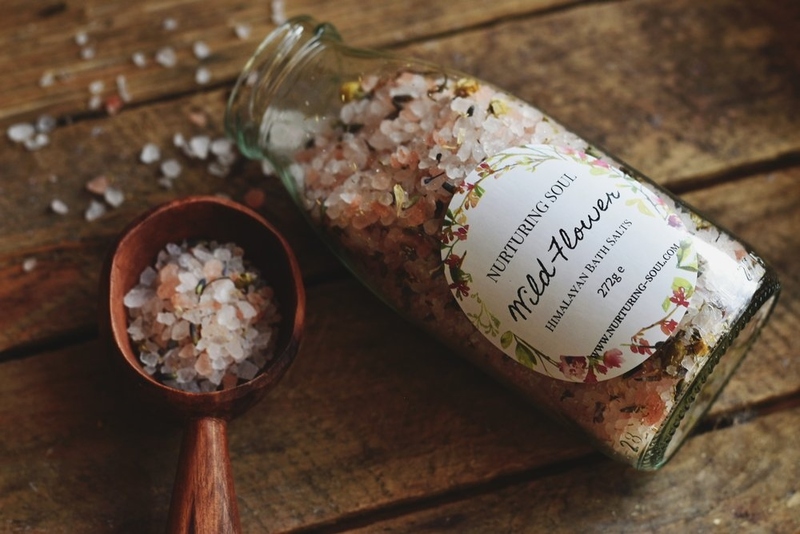 The soaps feel like such a treat to use, the salves work beautifully and the bath salts are incredibly relaxing. 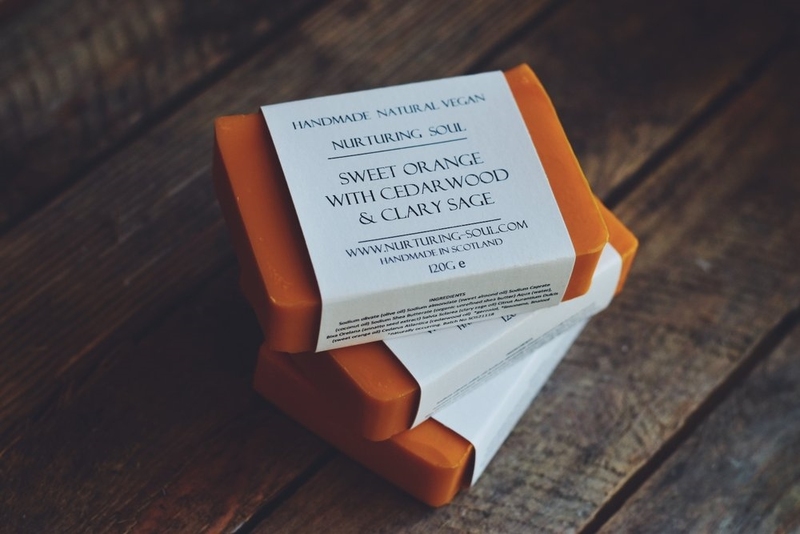 In Bec’s words she creates ‘100% natural soap and skincare, Inspired by nature, Handcrafted in Scotland’. One of the things I love is that some of Bec’s work overlaps with mine – for instance the orange colouring in the ‘Sweet Orange with Cedarwood & Clary Sage Soap’ comes from annatto seeds – which I also use in natural dyeing to create a similar orange shade! 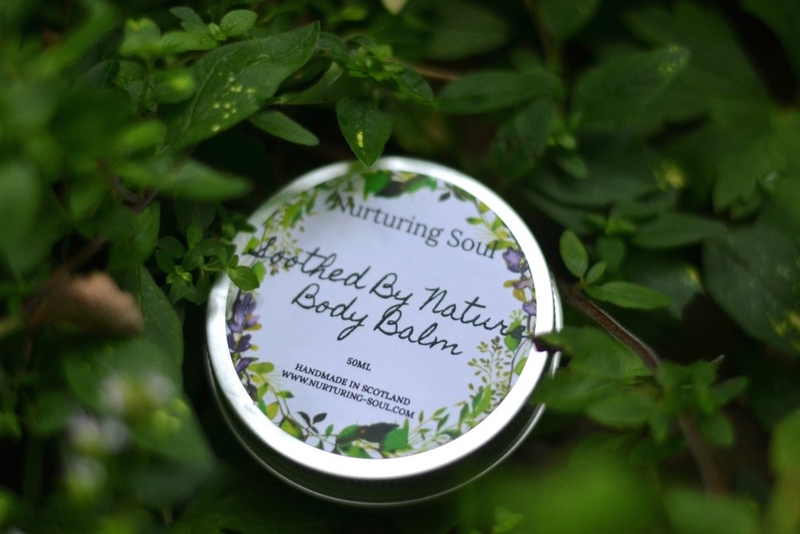 All Nurturing Soul skin care products are 100% natural and free from sls, synthetic fragrances, parabens and never tested on animals. All the soaps are cold processed, free from palm oil, vegan and made with the finest plant based botanicals. 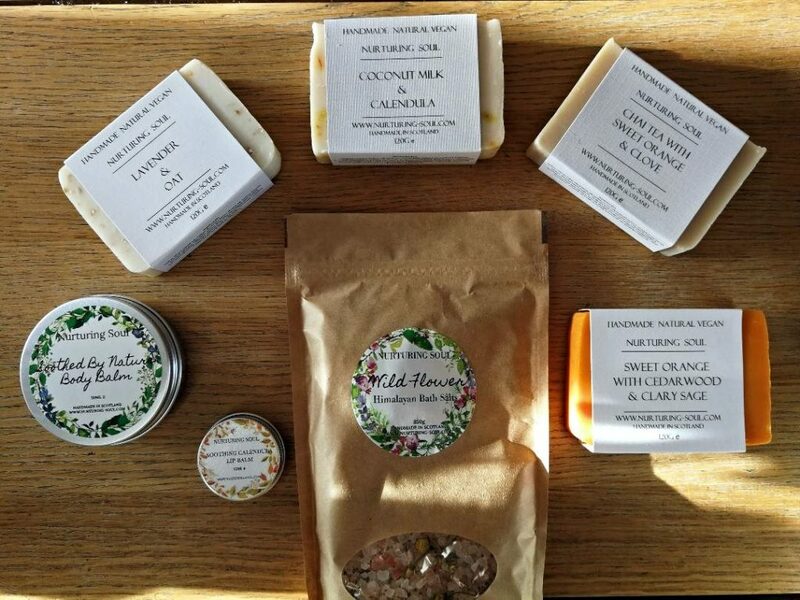 I have selected some of my favourite products and included a couple of very gentle soaps which, as well as the lip balm and body balm, should be suited to even very sensitive skin.